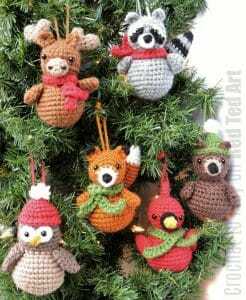 We have another fabulous Christmas Crochet Pattern for you today. 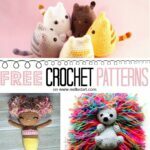 After the joy of sharing these Free Crochet Patterns with you over the summer, I have been looking to bring you some wonderful Free Crochet Patterns for Christmas too! 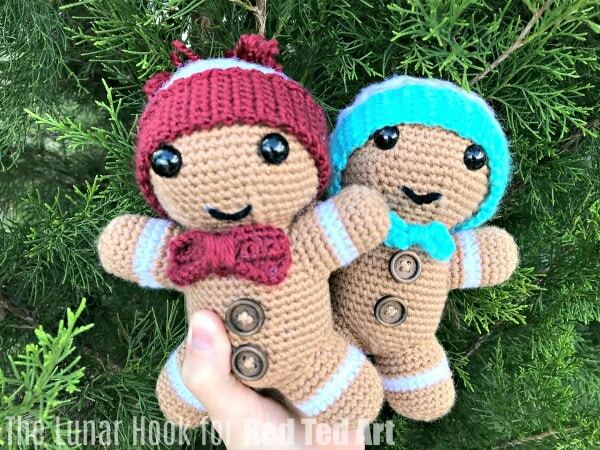 First up we have a wonderful Gingerbread Man Crochet Pattern by The Lunar Hook! 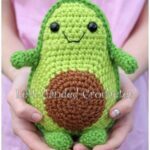 She has a mixture of made to order crochet toys as well as crochet patterns for you to buy. 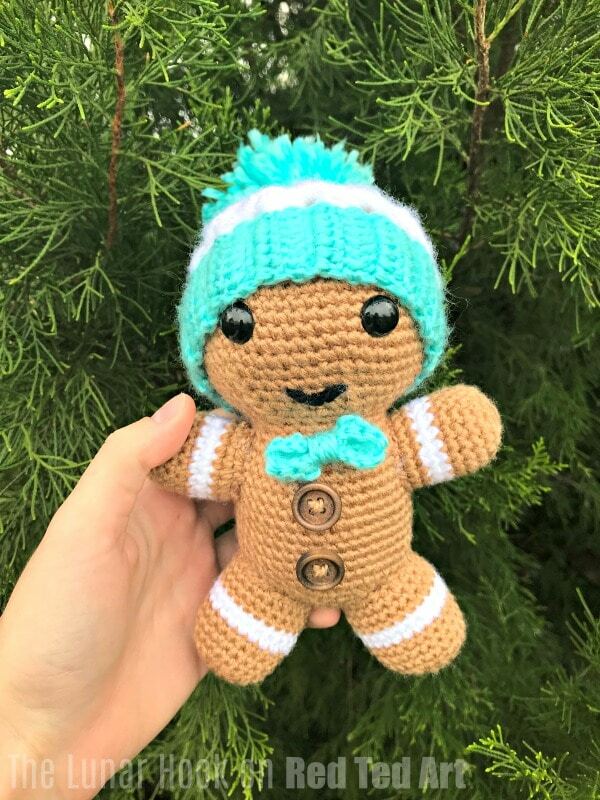 Do have a browse of her shop (in fact, if you like this little Gingerbread Man, drop her a message and say may be able to make it to order for you)! Please note: this post contains affiliate links for your convenience. 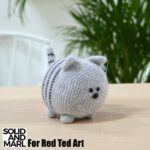 Should you choose to purchase through these I will earn a small comission which goes towards the upkeep of this blog! 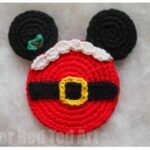 NOTE: You may make and sell items made from this Christmas Crochet pattern. We ask that you credit The Lunar Hook and link to her Instagram and/or Facebook. You may not sell, change or claim this pattern as your own. Warning! 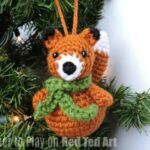 : There is a choking hazard for small children due to the eyes. Note: You will be working completely in rounds. 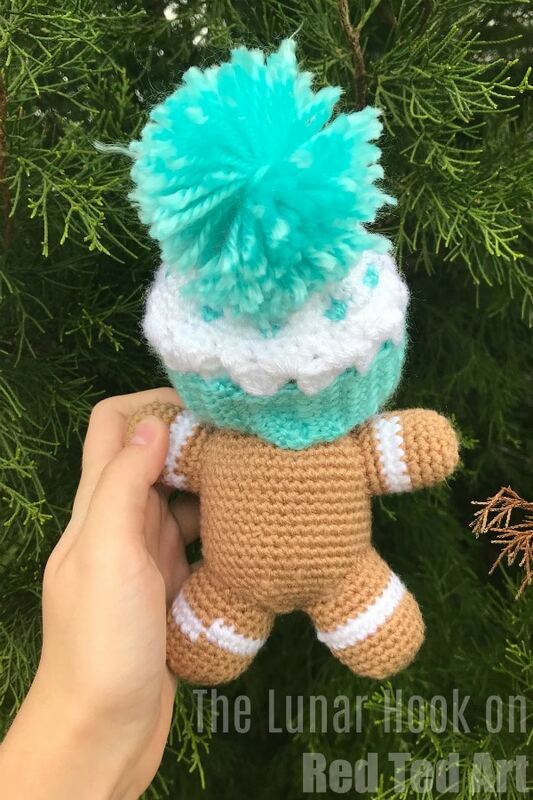 Note: The Gingerbread Man’s head and body are one piece. You will need to stuff the head after you add the eyes. 41. DEC, SC 2 around. 42. DEC, SC 1 around. Ch 8. Turn. Sc across. Ch 1. Turn. Sc across. Do this until it comfortably rounds the head. Sew ends together. HDC in first sc. DC in rest. HDC once. SC 1. F/O. 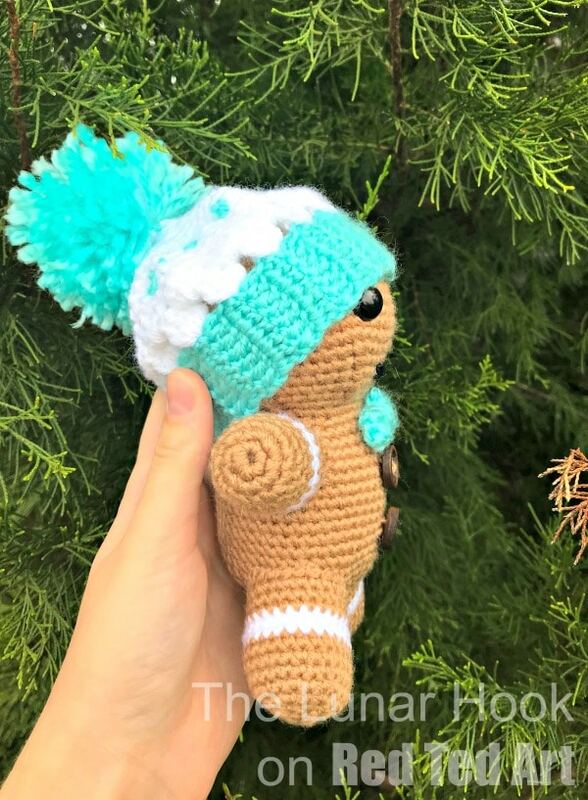 Attach a pom-pom if desired. Inc in the second CH from hook. SC 4 across and INC in the last sc. SC 3, HDC once, DC twice in next stitch. DC twice in next stitch. HDC once. Sl St in the next 3 sc. HDC once, DC twice in next stitch, DC twice in next stitch. HDC once, Sl St twice. F/O. Cut your yarn long enough to wrap around the middle of your bow. 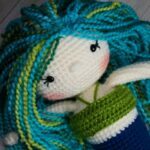 Once your bow looks appropriate you will knot at the back and use the remaining yarn to sew to your amigurumi. Remember to check out The Lunar Hook and see what other fabulous patterns she has available! What are the directions for the bow tie? Hello! Yes, they are missing and we will add them ASAP! Sorry for the ommission! 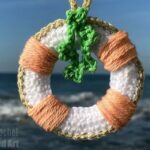 How much yarn i need to complete this project? 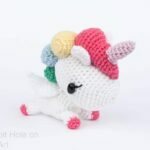 My daughter wants one each for her children. 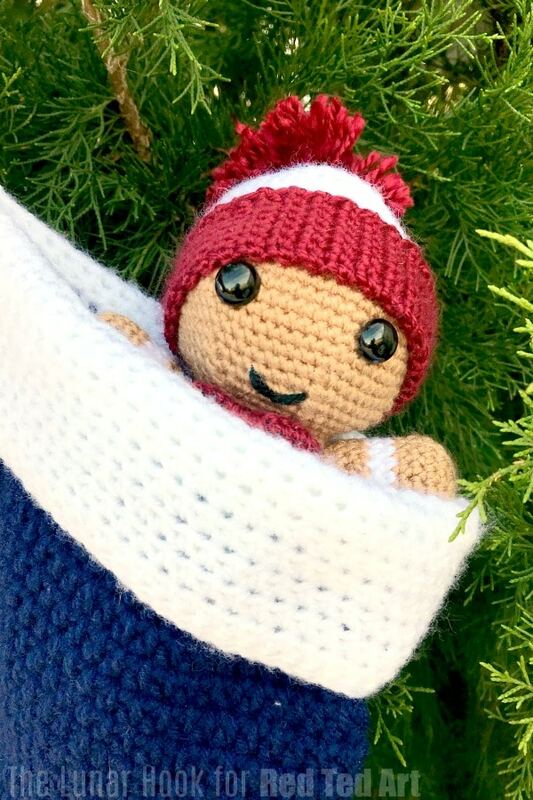 Where are the instructions for the crochet pattern of the gingerbread man toys body? It is missing. ? The head and body are one piece!